The Failure Rate of Psychotherapy: What it is and what we can do? You are not going to believe me when I say it. Fifty percent. It’s true. Even in studies where carefully selected therapists who receive copious amounts of training, support, and supervision, and treat clients with a single diagnosis or problem, between 5 and 10% get worse and 35-40% experience no benefit whatsoever! That’s half, or more. What happens to these people? Well, as readers of this blog know, if the therapist formally and routinely solicits feedback regarding the quality of the relationship and progress in care, drop out and deterioration rates fall, and outcome improves. Still, a significant percentage of people do not improve—as many as 25%! What can we do? The ethical standards for all of the professional mental health organizations require clinicians both monitor and end ineffective treatments as well as suggest helpful alternatives to clients (ACA [C2.d], APA [10.10]). But what? Enter Lynn D. Johnson, Ph.D., a psychologist whose work and thinking is always a step ahead. I’ve known Lynn for 30 years, met him when I was a graduate student. As I blogged previously about, it was Lynn who in 1996 first suggested routinely measuring outcomes. He is also responsible for the creation of the original Session Rating Scale–a 10-item version that I later shortened to four. 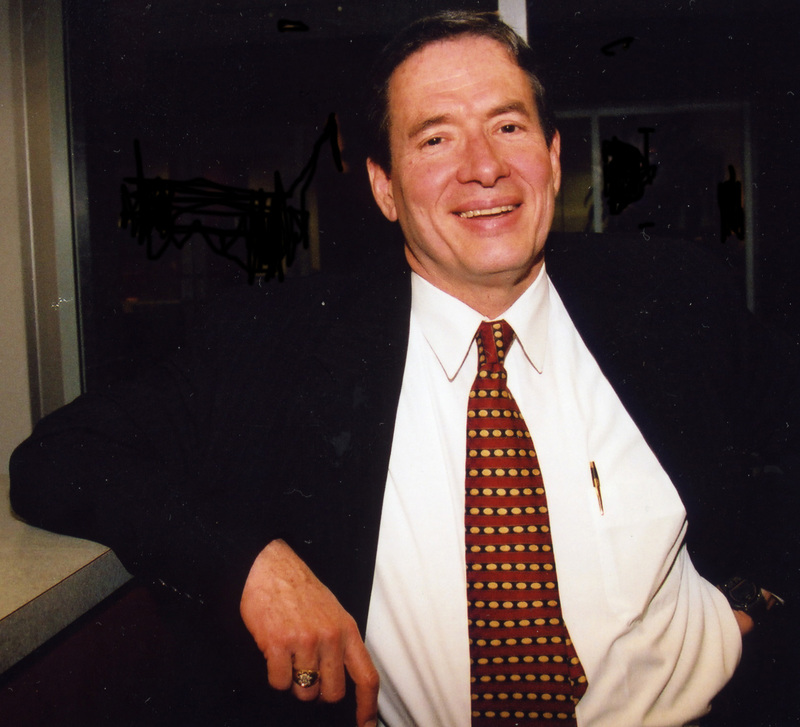 For several years, Lynn pushed me to do research on top performing therapists, believing they held clues to improving the practice of psychotherapy in general. Click here if you are you interested in learning more. Lynn claims that these ideas and techniques are the next thing in both physical medicine and psychotherapy. Let me know what you think. Thanks Scott. I’m a bit confused though .. I thought that from the ‘therapy works’ research, 8 out of 10 people get better with treatment. 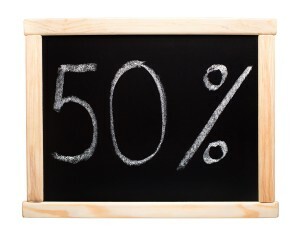 How does that square with this ‘50% don’t’ finding? Hi Andrew. Great question. When you compare treated versus untreated clients, meta-analytic studies show that those receiving care are better off than 80% of those who do not. The figure I cite in my most recent blog is the percentage of clients who achieve a reliable change/improvement. Two different stats. Two different comparisons. Very interesting, Scott, as always… Still wish I could get more of the clinic here to actually embrace FIT but perhaps if more outside pressure from 3rd-party payers and others builds over time to incorporate outcomes it may happen. Of course, I would rather have it come from a genuine interest in client welfare and effectiveness versus those other factors! Nate…come hang out with us this summer at one of our three intensives. You’d be perfect for the professional development course. We will be use the latest research on top performing therapists to help participants develop an evidence based plan for improving engagement and effectiveness. Thanks for the interesting info on failure rates. My question is more on FIT outcomes. I know that FIT enhances outcomes and decreases drop out rates across different modalities of therapy. How long do these improvements in therapist efficacy last? Is there a bump up when FIT starts and then it goes back to normal or does it stay improved? Similarly, do therapists who use FIT keep improving showing that experience does predict excellence when you add FIT? Interesting and important question. We know that therapists do not learn merely by receiving feedback. The tools function like a GPS, pointing the way and alerting us when we are off course. If one wants to learn the geography (keeping with the GPS analogy), an additional step is required: reflection and practice. Go to my publication list and read the two articles, “Supershrinks” and “The Road to Mastery” for a review. Thanks for your feedback. I did read the articles and have a few questions/comments. Given yours and other’s work on the ineffectiveness of techniques and training, “reflection and practice” are no longer simple topics to understand or work with. “Reflecting” on how my family systems or cognitive behavioral intervention helped this last client isn’t likely to make me a better therapist. And you have written quite extensively on the futility of emulating or reflecting on a “common factors” approach; thinking about how I really listened to that client or supported her goals is also unlikely to make me more effective. Ericsson’s recommendations regarding reflection and deliberate practice seem solid to me but only when we are working in a field where mastery of techniques improves outcome. Constructionists and Narrative Therapists argue that psychology is not such a field; instead of operating in fundamental reality—where techniques work—we are operating in constructed reality—where change occurs through other mechanisms. If enhanced therapeutic efficacy comes from reflection and practice, then your experience with de Shazar—which had huge amounts of reflection and practice—should have improved outcome. But you report that not only did that reflection and practice (which occurred at levels far above the norm) fail to enhance outcome, surprisingly the most effective therapists were two graduate students! In sum, following a recommendation about reflection and practice is much more challenging when operating in constructed reality. I suspect that FIT works by enhancing listening and enhancing motivation—at least for a time. I think your graduate students at the BFTC were outstanding because they were trying harder—they were highly motivated to demonstrate they could help clients change, more motivated than the more experienced therapists who had already proved they could help clients change. This leads back to my original question about whether there is any research yet about whether the improvements caused by FIT are sustained over time and whether they are cumulative (the therapist continues to improve). I don’t know if there are any early results in this area but such research could shed important light on the theoretical speculation above. Take a look at the work we’ve just finished looking at top performing therapists. The key is not to focus on the level of technique applied to clients by therapists in general but rather looking at what happens when individual therapists identify the edge of what they do well and push from there. We’ve got a number of studies now showing that clinicians can improve engagement, retention, and their outcomes. Does you research also include clients who have received psychotherapy and improved/got better but would have got better/improved without any psychotherapy? I would think this would be hard to know? Most comparisons of psychotherapy to no treatment find in favor of treatment. Changes from psychotherapy are greater, faster, and more enduring. However, the present study was looking at the failure rate WHEN people receive treatment. The failure rate is much higher than that. The mental health issues in our society are a byproduct of our society. You can continue to treat individuals but until the field of psychology decides to address the real issues the failure rates will never improve. Look at it this way. In a dysfunctional family you will normally find one individual who demonstrates that dysfunction. This individual is the one most effected. In order for long term results the family has to be addressed. Now apply systems theory. Our society is the family. The same patterns on a grander scale. For any lasting and significant change the real issues must be addressed. We live in an increasingly unhealthy society. Poor mental health is a byproduct of that society. It really is that simple. Healing our society however isn’t so simple. You’re right. I couldn’t believe it’s 50%, and I still don’t. Your statement of 50% success and failure is inaccurate, at best misleading. To say that people who were helped somewhat, mild to moderately improved, did not count as success, is grossly mistaken. The suffering that people go through without treatment/before treatment, as compared to after “mild to moderate” improvement, cannot be measured in dollars. It is very important. The most extensive study of psychotherapy ever done was by Consumer Reports in 1994 and found psychotherapy to be 90% effective, as rated by the consumers themselves. That 54% of respondents found therapy “helped a great deal” is staggering. To put your view in perspective, using the same standard of effectiveness would place psychiatric medications at about 33% effective, since in numerous studies it was observed that roughly a third of patients were helped extremely, a third were helped moderately, and a third felt the medication had little to no effect. Psychotherapy has been found by researchers to be just as beneficial as psychiatric medications alone, or as in at least one study, a close second, and medication and psychotherapy together have repeatedly been found to be more effective than either one alone. The verdict is in: psychotherapy works. Thanks for taking the time to reply. When assessing the effectiveness of therapy, it is important to separate change that is due to chance, the passage of time, the use of repeated measures, and measurement error from the actual effect of therapy. In our work, and in all clinical trials, researchers report both “reliable change” and “clinically significant” change. It is one of the most important advances in the assessment of psychotherapy outcomes of the last three decades. Such figures, derived from standardized formulas, allow us to determine when the change is actually due to treatment versus other (“noise”) factors. To our clients, change is change. It doesn’t matter what caused it. To therapist, it is essential to know what contribution they uniquely make to the change process so that we can improve the effectiveness of care. We do not and should not take credit for the changes that happen WHILE people are in care but that are not attributable to it. The most recent studies of the most researched treatment method (CBT) confirm the 50% figure. The study you cite is interesting. It was published in 1995. If you google it, you’ll be able to read scores of commentaries about the methods used in the study (survey, from a limited, highly select sample, etc.). No researcher takes the 90% figure seriously. Our own measures, applied by 10’s of 1000’s of therapists worldwide indicate that approximately 64% of people experience a reliable improvement (e.g., better than chance, maturation, and error)–a figure that is high compared to many medical procedures, and which simultaneously shows there is much room for improvement. Also there are a lot of useless treatments in the field of phsycotherapy, treatments that are said to be highly effective, yet prove completely ineffective when actually employed. I would say 80% of treatments are bunkum. There is no way that hypnotherapy or affirmations are going to change anything about any disorder.They do nothing and achieve nothing. They are rubbish treatments, yet “highly effective” at the same time. Actually, hypnotherapy –although not a treatment in and of itself — has compared favorably to other methods. And again, no one method has proven worse or better than any other.